THREE’S A CHARM FOR TORMÉ! 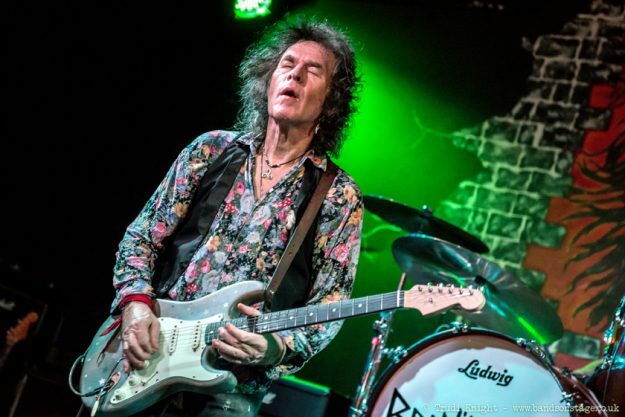 Irish punk/rock guitar legend BERNIE TORMÉ has announced a new album and tour for the Spring. Following on from the success of 2014’s Flowers & Dirt and last year’s double Blackheart, he’s revealed that Dublin Cowboy will be a triple album – comprising an electric studio album, an acoustic disc and a live recording. And like those two albums, it’ll be crowdfunded all the way. Prospective pledgers can go to Tormé’s Pledgemusic page, where a variety of exclusive rewards are on offer, including a guitar masterclass and a chance to play onstage with the man himself. The album will be followed by a series of U.K. dates in April, kicking off in South Shields and taking in a London show at the Borderline. Full dates are…. Arriving on the London scene at the advent of punk, and featuring on the iconic document Live At The Vortex, Bernie Tormé came to prominence playing with rock legends IAN GILLAN and OZZY OSBOURNE. Throughout his career, though, he’s been equally at home with punk and rock, working with members of GENERATION X, BETHNAL, SHAM 69, TWISTED SISTER and ANTI-NOWHERE LEAGUE along the way. ‹ JAMES JOHNSTON UNVEILS SOLO DEBUT!